Engaging in different social events may reduce an alcoholic's temptation to drink. An alcoholic husband may leave you fretting not only over his health, but how to manage daily life and social functions where alcohol may be present. Though helping an alcoholic husband stay sober can prove difficult, there are several ways for spouses to help a husband stay away from alcohol. Alcoholism is a disease best managed by professionals, and organizations like Al-Anon and Alcoholics Anonymous are designed to support both alcoholics and their loved ones. Encouraging your husband to see a substance abuse counselor may also help him stay sober, according to MayoClinic.com. Anyone involved in your husband's professional care, like his doctors, can also give you tips on how to help him stay sober. You can then share this information with other family members and friends to ensure that everyone is consistent in dealing with your husband's alcoholism. Alcoholics may look to family members to cover for their drinking, like making excuses to their bosses or explaining away their behavior to other family members, according to MayoClinic.com. You should stop covering for your husband's alcoholism and allow him to feel the effects of his drinking. Hiding something he did while drunk or lying about your feelings on the situation can give him a false sense of security, according to The Counseling Center. If you tell your husband that alcohol is not allowed in the house, or that he will not be allowed in the house if he has been drinking, you should follow through on what you say. Anger is a common emotion for spouses of alcoholics, but expressing it to your husband can have the opposite effect of what is desired. 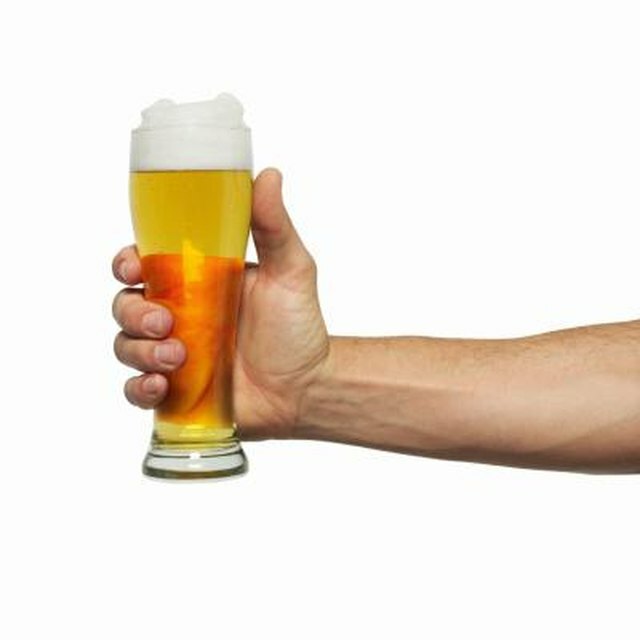 You should avoid asking your husband to make promises about staying sober, or insulting him if you catch him drinking, according to the Counseling Center in Ohio. Positive encouragement will yield better long-term results for a husband seeking sobriety. Celebrate together when he manages to pass alcohol by in public or when he confides in you when the temptation to drink is strong. Handling an alcoholic husband can bring strains to your marriage that you may not have experienced previously. Professional help may be necessary if your husband makes repeated failed attempts to stop drinking. If your husband refuses to get professional treatment for alcoholism, you should consider enlisting other family members, friends or respected people who may be able to talk to him about the need to get help, according to Narconon. What Do I Do if My Boyfriend's Mother Died & He's Having a Hard Time Dealing With Her Death?